The Leukoplast Cutisoft Soft Dressings for Sensitive Wounds provide comfortable protection for pain-sensitive wounds, abrasions and minor burns. The highly breathable, skin-friendly dressings can be used to dress or cleanse pain-sensitive wounds. 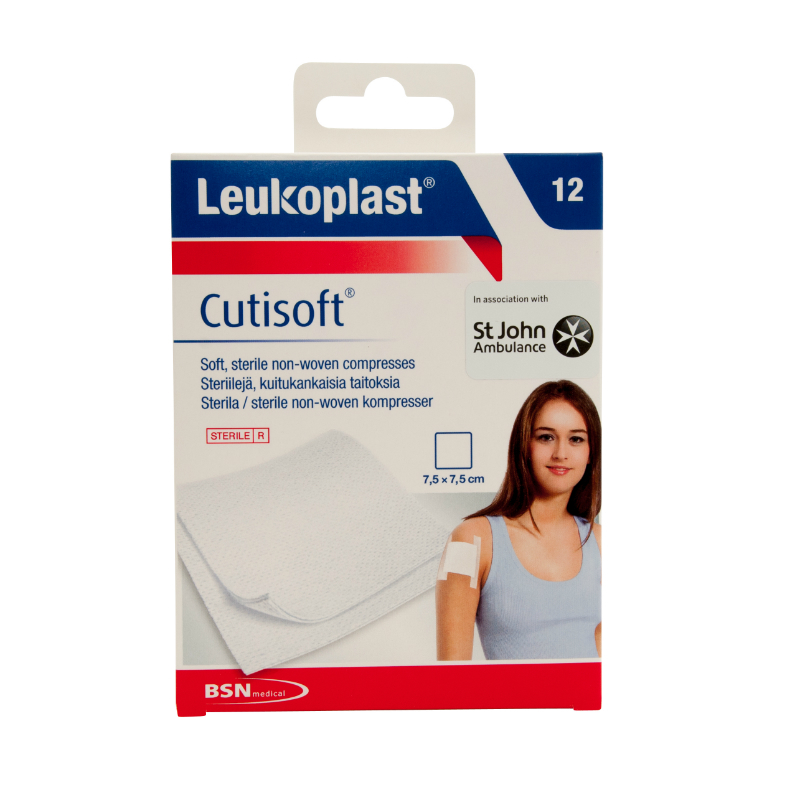 Soft and sterile, the Leukoplast Cutisoft prioritise comfort in protecting sensitive wounds. Each Leukoplast Cutisoft Soft Dressing provides maximum comfort in dressing sensitive wounds. Ideal for pain-sensitive wounds, abrasions and minor burns, the highly breathable Leukoplast Cutisoft dressing can be used to cleanse or protect minor wounds and injuries. The skin-friendly, non-adhesive Leukoplast Cutisoft wound dressings can be used in combination with a bandage for long-lasting protection, or used individually to cleanse and clean sensitive wounds. Sterile and individually wrapped, the Cutisoft soft pads offer safety in cleaning and dressing sensitive wounds. The Leukoplast Cutisoft Soft Dressings for Sensitive Wounds (Pack of 12) are usually dispatched via First Class Royal Mail and delivery should be within 1 to 3 working days.